With more than 30 years in the leak detection business and more than 14 million feet of patented leak detection cable in service in sites worldwide, we definitely know a thing or two about leak detection. But perhaps the most important thing we’ve learned over the years: everyone has mission critical spaces, and leak detection needs to come in sizes – and at price points – that make it an accessible option for everyone. 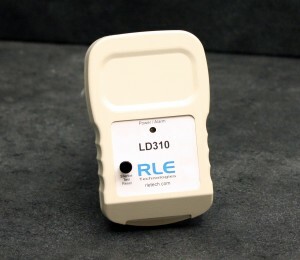 We’ve seen a surge in sales of the LD310 leak detection controller this year. The LD310 is a single zone leak detection controller that monitors up to 300 feet of our leak detection sensing cable. It can also monitor our SD-Z and SD-Z1 spot detectors – a quick solution for confined areas such as condensation drip pans or floor drains. If you’re looking for a secure and dependable way to monitor a mechanical or server room for water and other conductive fluid leaks, this controller is an ideal solution. It’s an inexpensive and simple way to guard very expensive and critical equipment in a small area. Because remember: you don’t have to have a big facility to have a big leak.